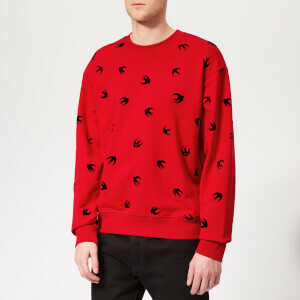 Red McQ Alexander McQueen swallow T-shirt. 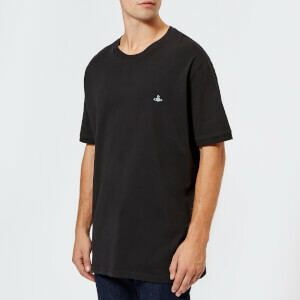 The cotton tee is cut for an oversized fit and detailed with an all-over version of the brand’s signature flocked swallow motif in black. 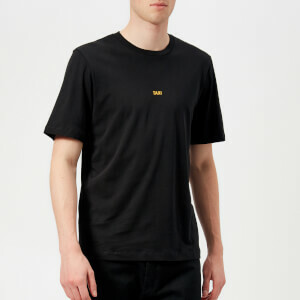 A ribbed crew neck, short sleeves and a straight hem complete the tee.